We've had some water issues in this area since we bought the house but nothing of this magnitude. 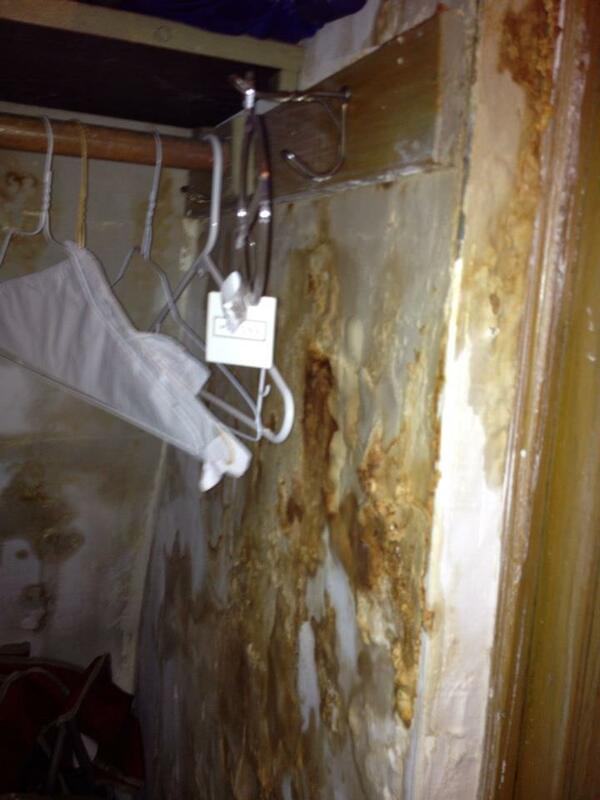 And, to make matters worse, we've paid three separate companies to fix the leak but as you can see, none of them did. 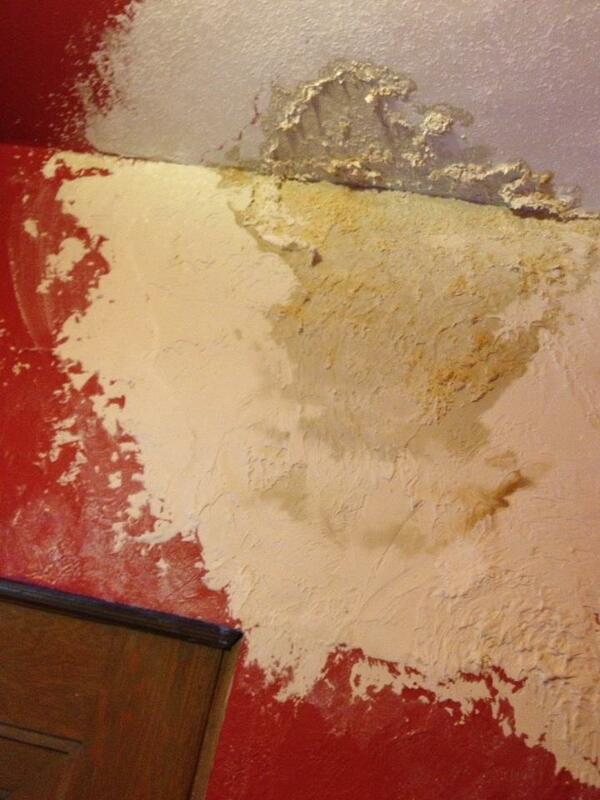 The best I got was about a year of no water at which point I felt it was safe to have the plaster redone. That, apparently, was the sign to the universe that it needed to start leaking again. I never even got a chance to paint the new plaster before it started flaking off again. There was so much white plaster on the floor yesterday that the kids thought it had snowed indoors. Will the fourth time be the charm? I had someone come look at the chimney and roof this morning. The good news was that we don't need a new roof. The bad news was that the chimney needs to be rebuilt and that costs about the same as getting a new roof. Ugh. With the gray, gloomy weather I wasn't much in the mood for cooking so we used up some of the frozen meals we have, had a frozen pizza one night and I think one night I skipped dinner altogether. I did manage to make it to the grocery store so I have a loose plan for next week. Or, I might scrap one night, hire a babysitter and head out to dinner without the kids. More on that later.